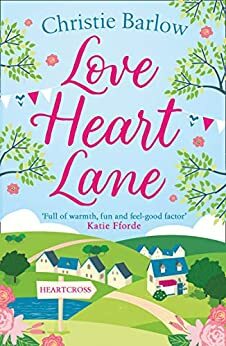 A feel good rom com to make you fall in love again – the perfect read to beat the winter blues! I enjoyed everything about this story, the writing style, the characters, the storylines, the tangled issues and messes Felicity kept stepping in, she meant well but her tenacious and somewhat impulsive tendencies of jumping in to help was a double-edged sword. There was a bit of everything to be found in this lovely tale as it hit all the feels with humor, heartbreak, danger, regret, adorable children, community involvement, romance, family issues, bad weather, and small village life. All the elements were well incorporated along with the idiosyncrasies of the village. I hit the mother load of idioms and new terms for my Brit/UK word list with fairy cakes which appear to be small cupcakes; the big smoke – London or other large cities; wetting the baby’s head – father and friends celebrate the baby’s birth with alcohol; get a shifty on - to get started on something; and not on your Nelly - there is no chance at all of something happening. Thank goodness for the Urban Dictionary, Google, and Wikipedia! Felicity starts this story waiting to speak to her manager to get some time off just after the new year. Given that she works in a department store, this is when sales are rife and it's super busy. Felicity's dreading having to ask for time off since the new management isn't people focused. Surprisingly, she manages to get time off, but only because her grandmother had just passed away. Meanwhile, as the day continues we learn about her now ex-boyfriend. She's kicked him out of her apartment and is mentally preparing for the trip to her Scottish hometown of Heartcross. While Felicity travels home she's wracked with heartache on account of Fergus, her childhood sweetheart. However, we don't have long to wait to see what kid of reception she gets from him. Since she unexpectedly runs into him within hours of getting home in the middle of a blizzard. At times you can reach the end of a story and it feels like the author has rushed a relationship, just to get the happily ever after. But this one didn't feel like that, which is great. Instead, it felt like the natural progression of friendships that finished things off in the perfect way. Without being over the top JUST to get that happily every after. Because of this I'm super eager for the sequel Foxglove Farm to come out! I was slighly bothered by the fact that EVERYBODY in town (except her friend Isla) has no qualms about telling Felicity how wrong she was for leaving. There is a lot of the book spent telling her how she hurt everybody else. While her leaving was slightly selfish, the fact that everybody wants her to walk on eggshells while everybody just blunders into her pain bugged me. It was very frustrating and seemed to be slightly reflective of society's view toward mother's health regarding pregnancy, delivery, etc that she was supposed to just ignore her pain, her feelings, and make sure nobody else was hurt. She suffered some serious trauma, but it should be okay because everybody loves her. Barlow touches on the fact that she suffered from serious depression and she had difficulty being around pregnant women and families. But she's supposed to be okay that the guy whose heart she supposedly shattered moved on in about a year. I got seriously upset with the supporting cast when this was the general consensus. I can't tell if Barlow was trying to shed light on this situation...or if she's perpetuating it. I also have an issue with Felicity (Flick). She's kind of a doormat. She's pretty strong professionally, but interpersonal relationships see her brushing off her own hurt because she hurt others. Again. I don't know if this is an attempt to shed light on a societal expectation of women in general (because it is an issue--women are expected to brush off a lot of things in the interest of keeping the peace), or if it's a perpetuation of a terrible society ideal through fiction. Either way, I would have liked to have seen more of a backbone from Flick. Yell at your friend who is selfishly pouting because you hurt her feelings EIGHT YEARS AGO when you were so overcome with grief and pain that the only thing you could think to do was go lick your wounds...and then when you were thinking it was time to go back, somebody ripped those wounds back open and poured salt into them. None of these so-called wonderful friends decided to hunt her down and make sure she was still alive. None of them made sure she was okay...because she hurt their feelings. It just really drove me up the wall that Felicity just sits there and takes it all. That being said, it truly is a heart-warming story of a love that isn't as over as the characters thought. The way the romance plays out, not as the main event, but as a supplement to a story about a village and the meaning of home was refreshing. The reader knows how the romance ends, but the rest of it is what is up for grabs. How will Felicity fit back in to her tiny village? Will she stay? There's enough uncertainty that the story drags you in. There's minor dramas that keep it moving forward, as well...and of course the promise of more romance on the horizon at the end. I really did enjoy this story (for all that I will rant about a couple details), and highly recommend picking it up for a nice chick-lit romance. 5.0 out of 5 starsThis is a series not to be missed. Felicity Simons (Flick) left Heartcross, her hometown in Scotland eight years ago and headed to London to make something of herself leaving behind her friends and ex-boyfriend Fergus, as well as her mother and Grandmother. When she receives the devastating news that her Grandmother has passed away, Flick is extremely upset that she hadn’t visited more often, including over the recent festive period. Booking two weeks off work she flies to Scotland and heads home, but Heartcross is a small village with only one way in and out, over an old bridge. The snow is falling rapidly and her taxi can’t get her across the bridge so she has to walk the rest of the way. Heartcross is a place where everyone knows everyone else and community spirit is high. There aren’t many places to hide and it doesn’t take long before Felicity and Fergus’s paths cross. He’s not happy to see her and even after she helps save his and his horse’s life, he still doesn’t want to know. With the village rapidly becoming cut off from the rest of the world can the villagers pull together and can Fergus and Flick bury their differences and move on? This is the first book in a new series from author Christie Barlow and what a series it is going to be in the first book is anything to go by. I may live in the North of England but I’ve never actually stepped foot across the border into Scotland, though Heartcross sounds like a delightful place, although a little too rural for me, but very picturesque with all the snow. Flick is a wonderful character who is trying to make amends for the past and feeling guilty for not being there for her Mother and Grandmother in their time of need, especially as the family business suffered a setback and she knew nothing about it. I was intrigued to know why she stayed away for so long and what happened between her and Fergus that even after eight years he’s less than impressed to see her. Needing to know more and with a want to spend more time in the little villager and with the delightful people, I found myself reading the book in just one sitting.